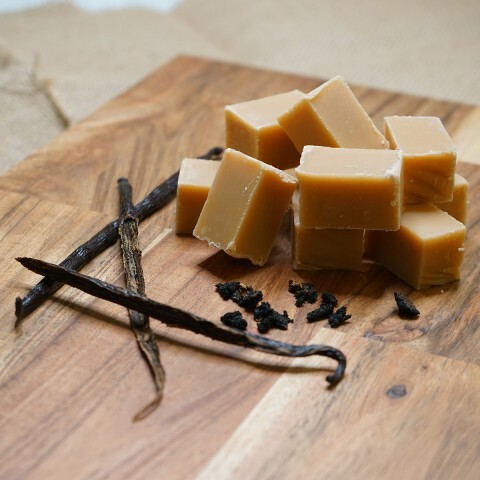 Chocolate Coated Vanilla Fudge – This classic fudge is made by hand the old fashioned way in our copper pans, one of our traditional flavours. 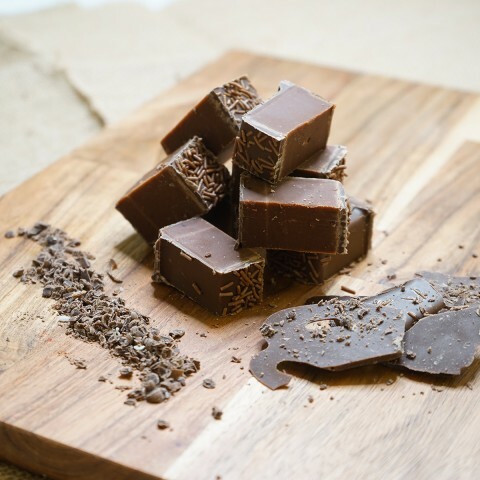 Soft and smooth in texture; only the finest ingredients go in giving it unforgettable rich sweet creamy buttery taste of natural vanilla, hand dipped in Belgian chocolate for that extra indulgence. 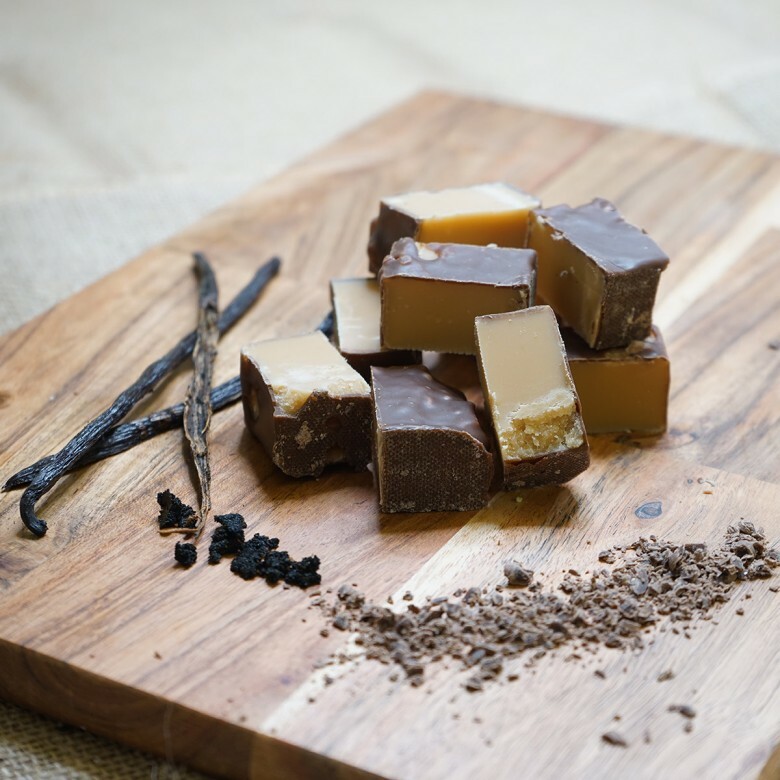 Best before six months after purchase.Chocolate Coated Vanilla Fudge is available in two sizes; a 150 gram bag or a 450 gram box.